It is FINALLY the weekend!! Woohoo!!! Time to sleep in folks! Once you get settled in with your cup of coffee and the sleep out of your eyes, I hope you enjoy all the shares I have for you today. Run to the Finish is hosting a Spring Bootie Buster Challenge for the first this year!! The challenge will run from March 4th to April 21st. You know I already signed up for it! Plus ALL PARTICIPANTS will be receiving a pair of Lock Laces!! I did the Holiday Bootie Buster Challenge, loved it, and took away so much from it. 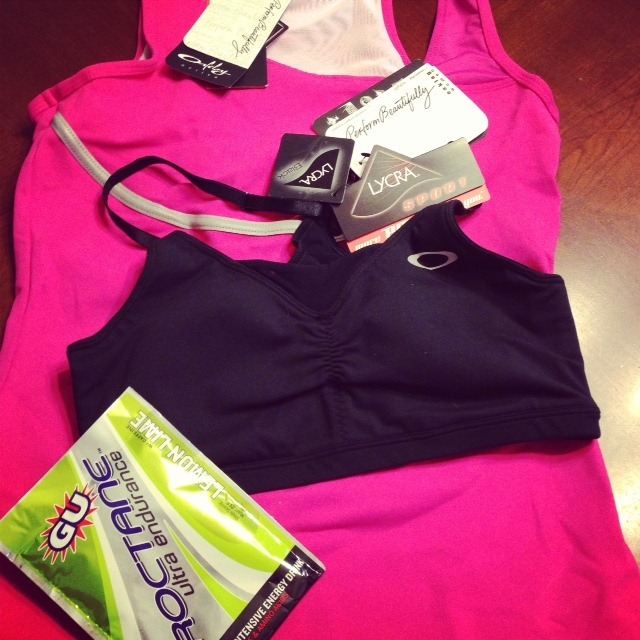 Not to mention some totally awesome Oakley workout clothing that I won (see picture to right). I highly encourage you to join me in the Spring Challenge. You will find yourself more motivated than ever to stay healthy and fit. When you sign up put down that From Florida to North Dakota sent ya! 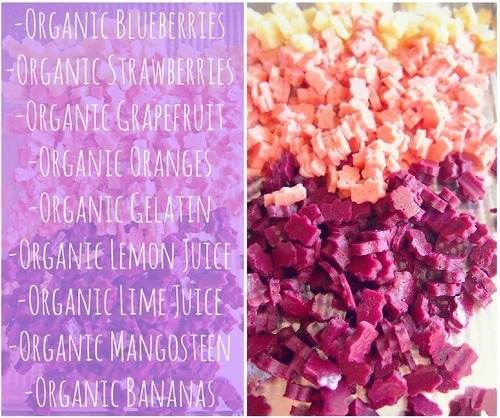 Check out these recipes for homemade gummy bears without all the chemicals. Taralynn has come up with several gummy recipes that I’m dying to try out myself. 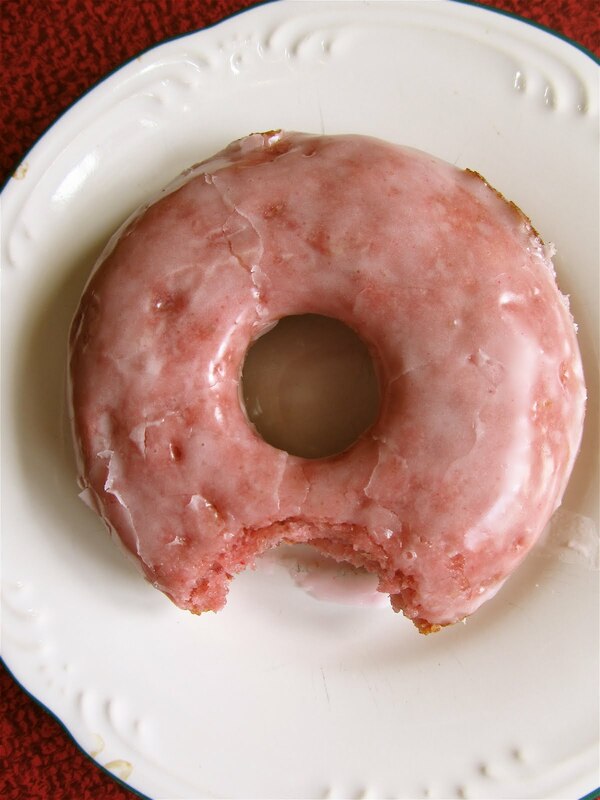 The picture really says it all, but what it doesn’t say is that these Strawberry Baked Doughnuts only have 1 tablespoon of butter in the whole recipe and no oil! Mary Quite Contrary Bakes has a winner here! 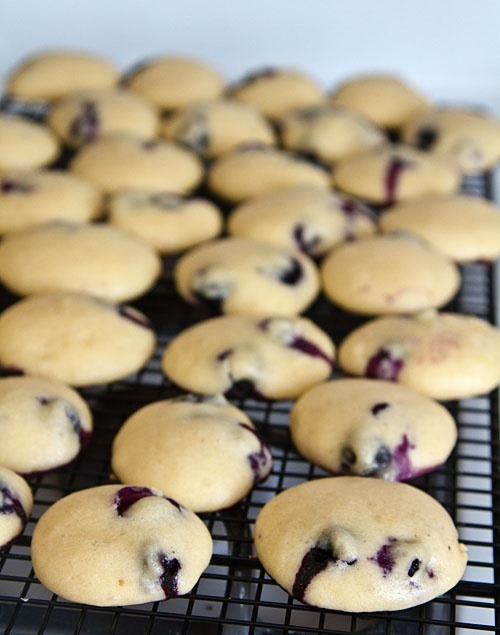 These Blueberry Yogurt Cookies by La Fuji Mama look yummy and healthy. This recipe uses Greek yogurt and NO butter or oil! I’m a big fan of things that glow, so of course I pinned this fun kid project as soon as I saw it. Glowing a Jeweled Rose has a great project for you and your kids with the Glowing Rainbow Eruptions. If you have a black light it is even cooler! I am a follower of the Food Babe, and I am so thankful for all the research she does to help keep the rest of us informed about what is actually in our foods and drinks. One post I point people to is the Low Calorie Beverages Will Kill You Before They Solve Obesity article. Please read it. It will open your eyes to a lot of ingredients that are in your beverages and foods. What did you think after reading her article? Itz Linz has a great full body workout that consists of 10 exercises with 15 reps each. The above pic is only part of the workout, and to get the rest of it you have to go to Linz’s blog and fall in love with her #15 Full Body Circuit Workout!! I’ve done this workout several times myself. This entry was posted in Fitness Challenge, Kids, Recipes, Saturday Shares, Workouts and tagged baked strawberry doughnuts, blueberry yogurt cookies, circuit workout, food babe, glowing a jeweled rose, glowing rainbow eruptions, homemade gummy bears, itz linz, la fuji mama, mary quite contrary bakes, run to the finish, spring bootie buster challenge on February 15, 2013 by fromfltond. I loved the last challenge so much, and I’m so ready for the next one to start! Thanks for the share girl!! Anytime! I loved your workout!